As the exclusive distributor of Halo sterile tissue allografts, Stephens Instruments provides a comprehensive solution to a variety of ocular conditions. Halo sterile tissues are currently in use by ophthalmic surgeons worldwide as a glaucoma tube shunt cover, epithelialization substrate, tectonic support, or superficial patch graft. Halo corneal allografts offer unmatched corneal clarity for simplified post-op assessment and improved patient cosmesis, with the convenience of a patented easy-peel packaging. 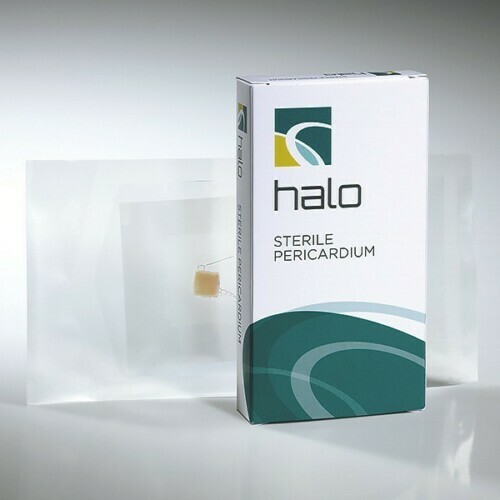 Halo sterile tissues can remain at room temperature and never need reconstitution, saving valuable preparation time and bringing additional value to your practice. With the offering of a corneal patch graft, sclera patch graft, and pericardium patch graft, Stephens Instruments is committed to keeping your surgery center at the forefront of excellent patient care.